Costa Rica Judicial Investigation Police (OIJ) Director Walter Espinoza announced Tuesday that four suspects have been arrested for allegedly killing a California man and defrauding him of several properties. OIJ identified the victim as Brian Lynn Hogue, 64, who had been missing since June 2015. According to Espinoza, the four suspects – two men and two women – learned that Hogue had several properties in Paquera, Puntarenas, listed under an anonymous corporation, known as an S.A. in Costa Rica, and allegedly conspired to commit identity fraud to gain control of the corporation. The suspects are two sisters surnamed Gaitán Ramírez, and two men with the last names Corrales Vargas and López Corrales, according to a statement from the Prosecutor’s Office on Thursday. The four allegedly presented false documents to a notary and tricked the registry into transferring control of the S.A. and its assets to them. “When Brian Lynn [Hogue] became aware of the criminal acts, they decided to kill him” on June 2, 2015, Espinoza said during a Tuesday news conference. The prime suspects in the killing of Hogue are the Gaitán sisters, according to Prosecutor’s Office spokeswoman Tatiana Vargas. A criminal court in Pococí ordered the sisters held in six months preventive detention. Corrales and López allegedly committed the fraud. Corrales may have assisted in the killing, Vargas said, but there is not sufficient evidence at this time to request preventive detention. Both men are not in jail but are required to regularly sign in with authorities and not communicate with the Gaitán sisters. Police carried out five raids across Costa Rica this week in Aguas Zarcas, San Carlos; Coronado, San José; Garabito, Puntarenas; and two near Moín, Limón. None of the four suspects had criminal records, according to the OIJ. 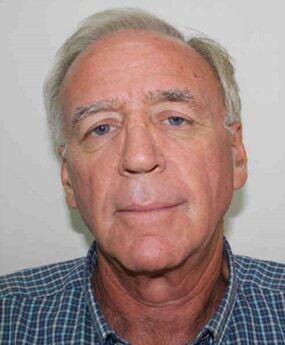 Hogue was last seen in San José on June 1, 2015, driving a gold-colored Suzuki Grand Vitara. When he did not arrive home in Guápiles, a neighbor filed a missing-persons report with the OIJ on June 12, according to the OIJ delegation in Pococí. The Tico Times previously reported that Hogue planned to retire in Costa Rica and was involved in reforestation efforts on properties he owned, including a farm in Guápiles where he lived with his wife and one of his children. Hogue is survived by his four children, his wife and his former wife.